The Nevada Arts Council, a state agency, for funding our local art activities and programs. The National Endowment for the Arts, a federal agency, for funding our organization. Sharon Cahlan for office space provided to PAC and her generous support of the arts in Pahrump. Pahrump Community Library for hosting gallery space to showcase member artists. 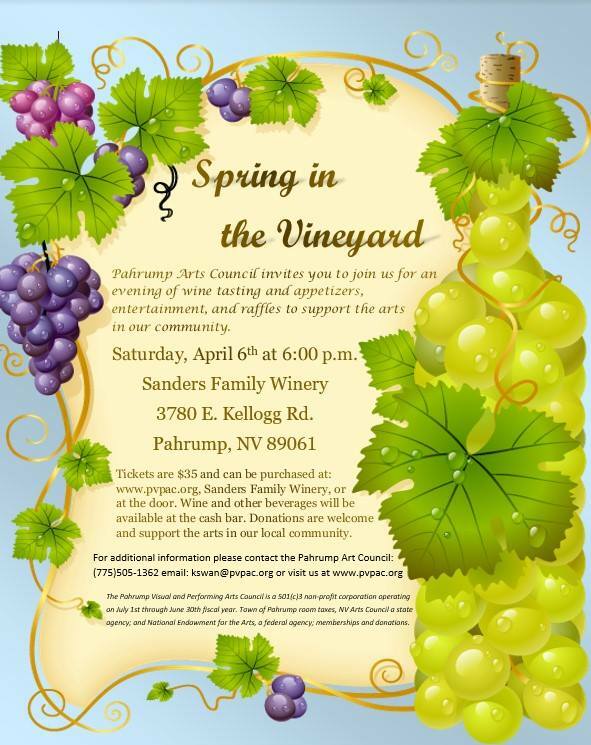 Sanders Family Winery and Pahrump Winery for event donations. The Treasurer and Controller’s Offices in Pahrump for hosting community gallery space. The Pahrump Nugget for hosting our annual chorale concerts, and film festivals. 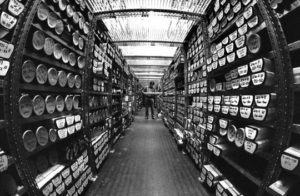 Media coverage: KPVM – TV, Pahrump Valley Times, KNYE, KACE. Nye County School District for partnering in youth programs and providing performance space. Nye Communities Coalition for classroom and performance space and publicity. American First National Bank for hosting community gallery space at their Pahrump location. Bank of America for hosting community gallery space at their Pahrump location. 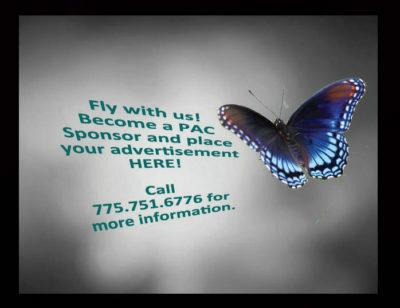 If you are interested in becoming a corporate sponsor or donating in-kind services to PAC, please contact us.